Oh boy! 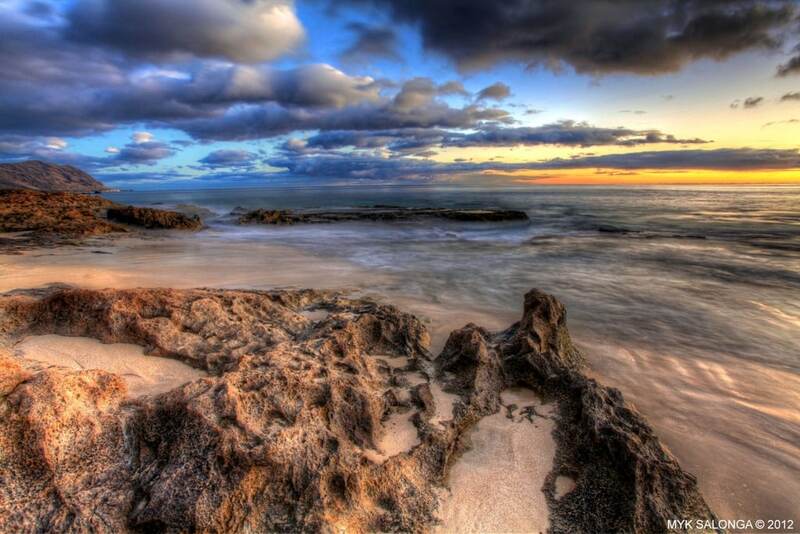 We’ve got another awesome Oahu sunset photo shared with us by Myk Salonga Photography. This photo was taken at sunset on August 18 at Yokohama Beach on Oahu’s leeward, western shore. It’s easy for me to get drawn into this photo. I think the positioning of it gives the feeling of floating in the air. I could easily get lost in this photo in a day dream. Couldn’t you? Mahalo to Myk Salonga for sharing his photo with us! Astonishing picture Sheila. I have never been to Hawaii, but looking at this I feel, I am certainly missing out something beautiful.